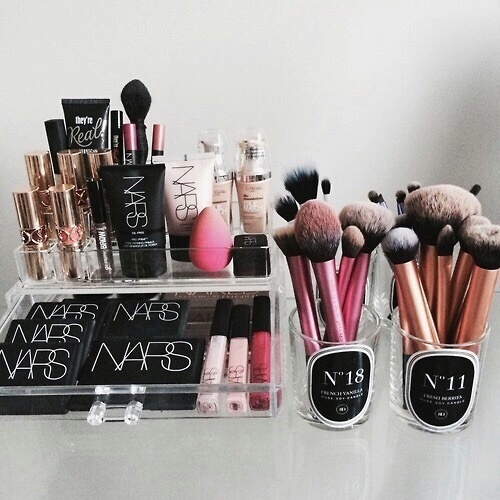 Caos da make up addicted? 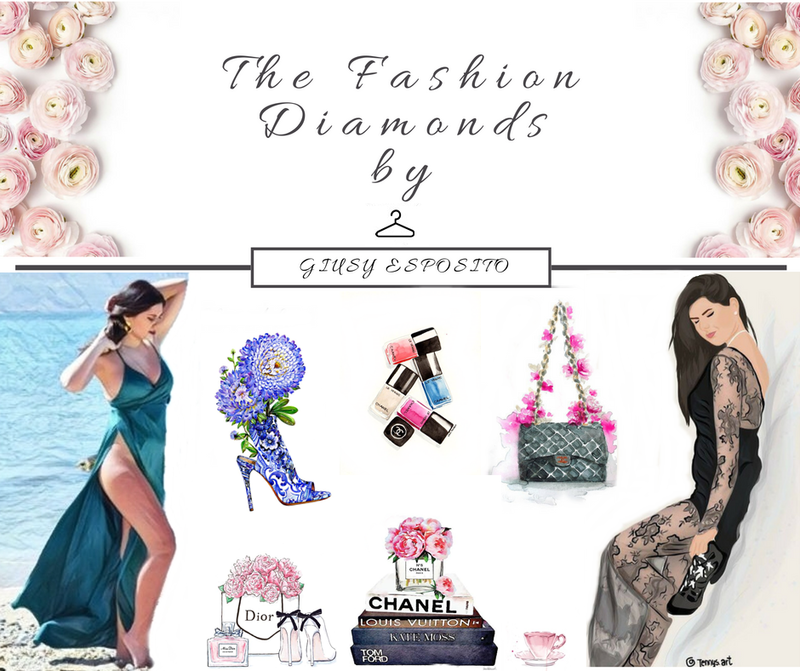 idee per organizzare i tuoi trucchi e sistemarli in modo originale, funzionale e, perchè no, glamour e di stile. Sono tanti gli spunti a cui poter attingere, tra cornici magnetiche a parete e, per le amanti delle idee creative, alzatine da cup-cake, vasetti da cucina e bicchieri , organizer trasparenti in plexiglass, agevoli per individuare il prodotto giusto al momento giusto e in tempi brevi! Una delle cose che una vera make up addicted non ammetterà mai è che avere tanti prodotti cosmetici rappresenta molto spesso un problema se questi non sono organizzati in modo chiaro e ordinato. 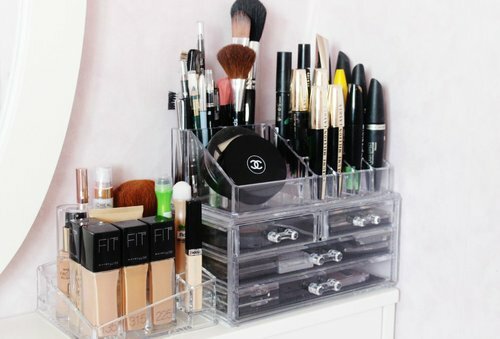 Trovare il giusto rossetto piuttosto che scovare lo smalto ideale da abbinare con la camicetta indossata è un problema non da poco se manca l’organizzazione: una soluzione pratica e veloce è quella di usare degli organizer-espositori trasparenti in plexiglass e acrilico. (che è una avanzata piattaforma di influence marketing che permette agli utenti di essere premiati dai brand che amano di più, facendo delle missione vengono accreditati punti che poi coverti in premio nella categoria premi) Sono composti da 3 cassetti e spazio aperto sopra con degli alloggi, dove ripongo rossetti, pennelli, matite occhi, matite labbra, mascara e correttori in crema. Chaos makeup addicted? ideas to organize your tricks and arrange them in an original way, functional and, perhaps, glamor and style. There are many ideas that can be drawn between magnetic wall frames and, for lovers of creative ideas, backsplashes from cup-cake, cooking pots and glasses, organizer transparent plexiglass, easy to find the right product at the right time in a short time! 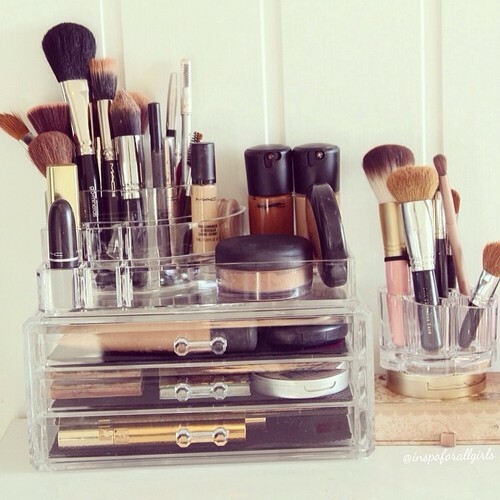 One of the things that make up a real addicted will never admit is that they have so many cosmetic products is very often a problem if they are not organized in a clear and orderly. 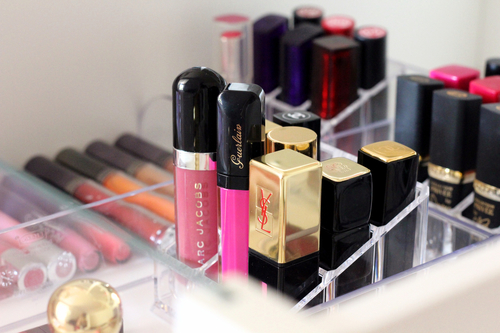 Find the right lipstick rather than hunt down the enamel ideal to combine with worn blouse is a significant problem if the organization lacks: a practical solution and fast is to use the organizer-exhibitors transparent plexiglass and acrylic. If we decide to create a makeup station we will have to be sorted, because this becomes almost a piece of furniture in the house. So also it should not happen do not know what kind of alien or black hole at home has mysteriously swallowed this palette of eye shadows that cost us a fortune. Everything will become more simple and less stressful. Transparency! 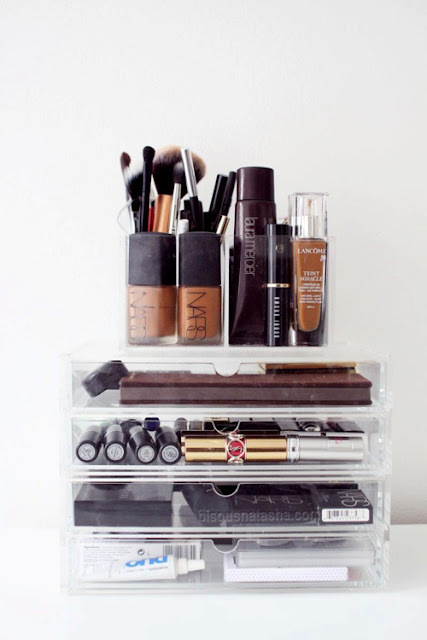 In terms of location you place the makeup makeup organizer acrylic (in a nutshell clear plastic ... but more durable) than that to help you organize well the makeup products allow you to see at a glance everything that's stored inside, and then let's have as well so cool and fashion. I already have these as I said them. These makeup organizer acrylic on amazon costing about 16 and that's what I got through Lovby . 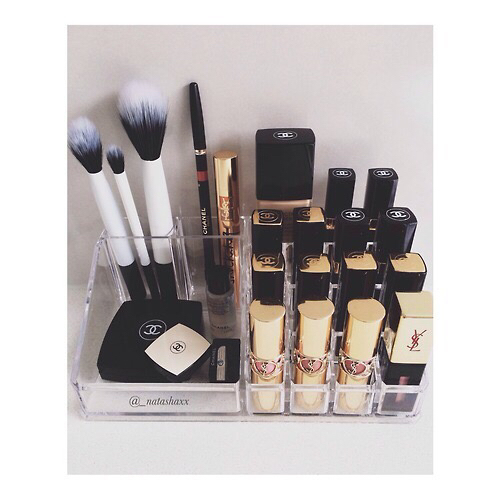 (Which is a premium of influence marketing platform that allows users to be rewarded by brands they love most, making the mission points are accredited then coverti prize awards in the category) are composed of 3 drawers and open space over with housing where I put lipsticks, brushes, eye pencils, lip pencils, mascara and concealers cream.